This fall, head for Joshua Tree National Park. 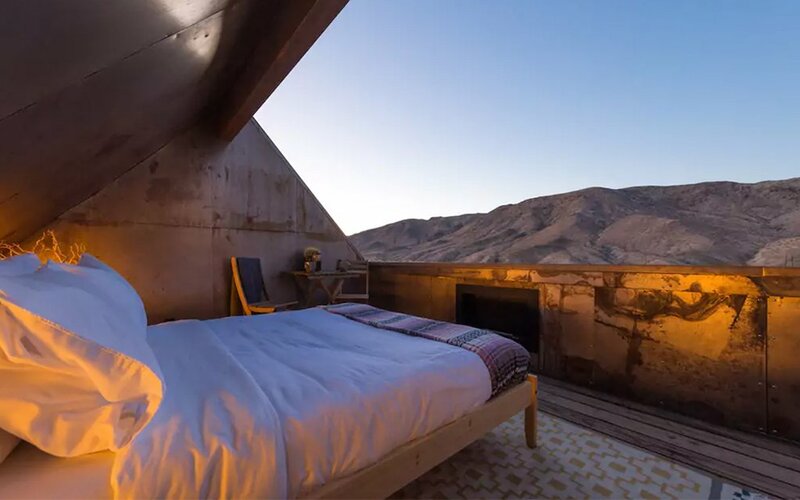 Instead of camping, we’re recommending a chic set of barn-like cabins in addition to lesser-known trails and some good eats. 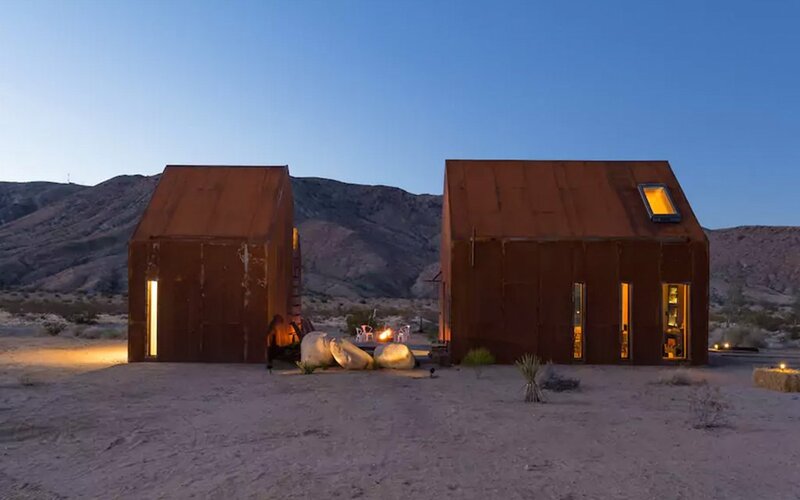 The Joshua Tree Folly consists of two barn-shaped, rustic metal cabins on 2.5 acres of land not far from the Park. 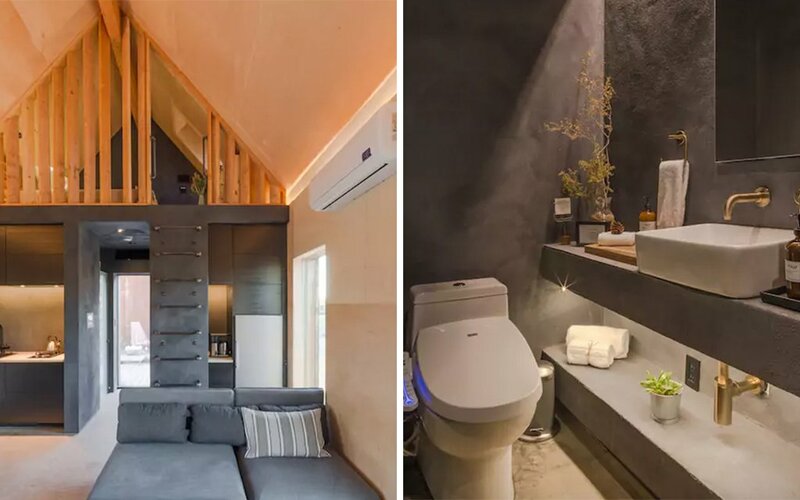 One has a shaded rooftop bedroom with a queen bed that’s ideal for stargazing your way into the Land of Nod. The place also equips a BBQ pit, outdoor shower, soaking and hot tubs, and a gourmet kitchen. You should probably leave the premises (more on that below), but you certainly don’t have to. There are countless trails in Joshua Tree, so we’ll focus on a few lesser-known ones this time around. First, Cholla Cactus Garden. This is an easy loop picked less for its length or difficulty and more for its strange beauty, the Cholla being a rare breed of plant that rises about four feet tall and has lime green hues unlike anything else in the flora world. Next, the Golden Bee Mine Trail, which is a four-mile in-and-out with an 805-foot elevation gain. This is a hard one, and you’ll see few other hikers. There are numerous scrambling options, sporadic wildflowers and great views. You’ll notice we linked both of these hikes through AllTrails, which recently updated its app with enhanced layers and offline capabilities, so once you’ve selected a trail, you can still keep the nav up, even if you lose your signal. You’ll have a kitchen at Folly, and we suggest bringing as much picnic food as possible, and maybe fixing for dinner one night. You’ll want to grab some fresh roasted coffee beans from Joshua Tree Coffee Co. 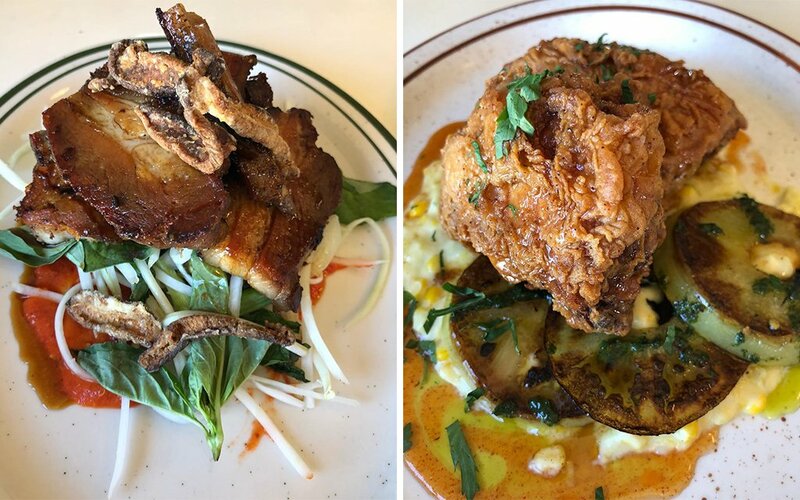 Given how hot it can get, even in the fall, you should hit the trails on the earlier side, and then have a late brunch/lazy lunch at La Copine Kitchen, a wildly delicious desert diner that keeps what we’ll call hippy hours. But slow roll notwithstanding, they do a mean fried chicken (look), and it’s worth the wait. 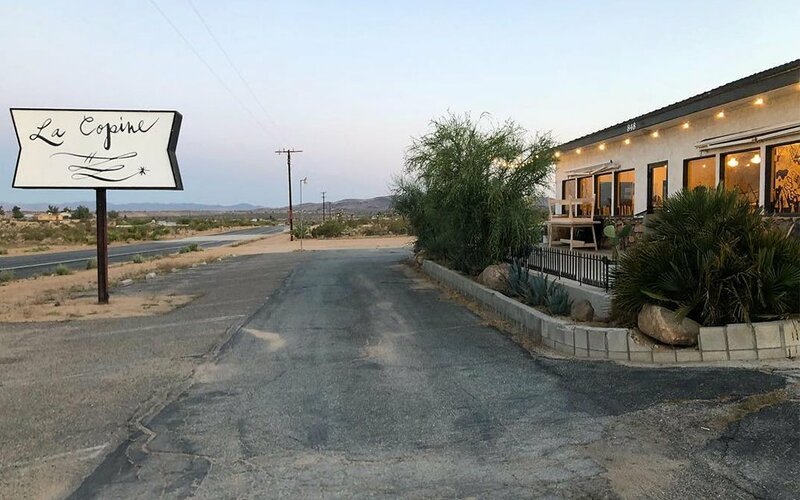 Of course, evenings you’ll want to spend at Pappy and Harriet’s, the rowdy smokehouse/roadhouse in Pioneertown that serves the best live music and libations in the area.